I really like this song from Avril's Goodbye Lullaby. Anyway, this is totally unrelated to Avril's song haha! ELF (eyes lips face) cosmetics is a favorite among "drugstore" lovin' beauty geek and I perfectly understand where the following is coming from. 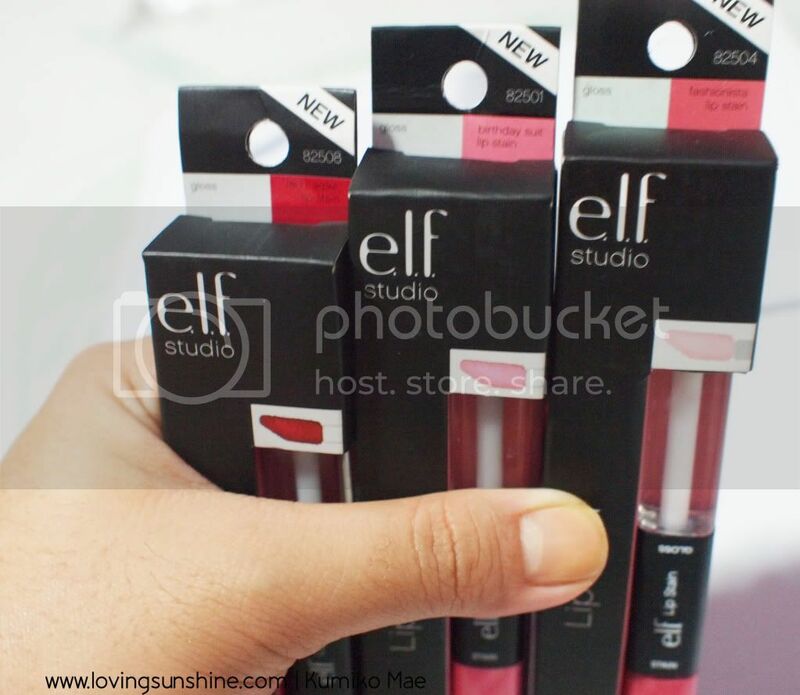 ELF offers a number of products from tools to color cosmetics that are promising without the painful price tag. Few weeks ago, I got me the lip stain and gloss from ELF Studio line and I wanted to quickly share with you what these products are like. I can't say I love them, because they did disappoint me quite so much--and here are pictures why. The Lip Stain range has three promising shades: birthday suit, fashionista and red carpet. 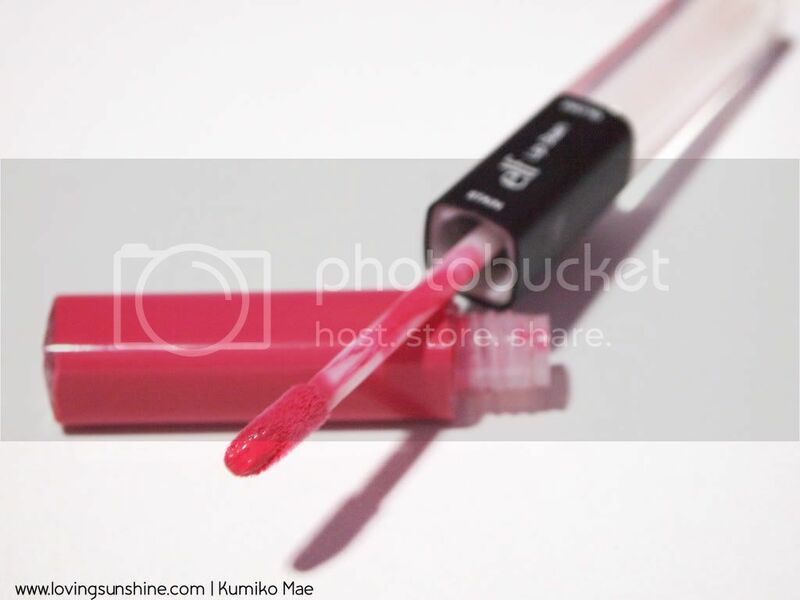 The lip stain includes a matte color stain from one end and a clear gloss on the other. I'm sure by now you're interested in seeing the swatches! Here you go... staring off with Birthday Suit. It is very matte and I don't like it, so I decided to put the gloss. I'm not impressed witht he color pay-off. 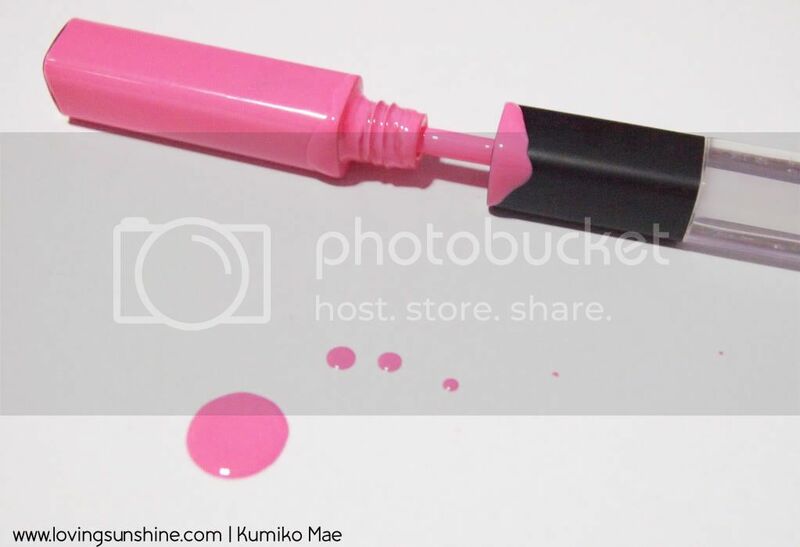 I actually liked the softness of the pink on the tube. Among the three tubes, I'm only pleased with the Red Carpet shade because it delivered--shade wise. 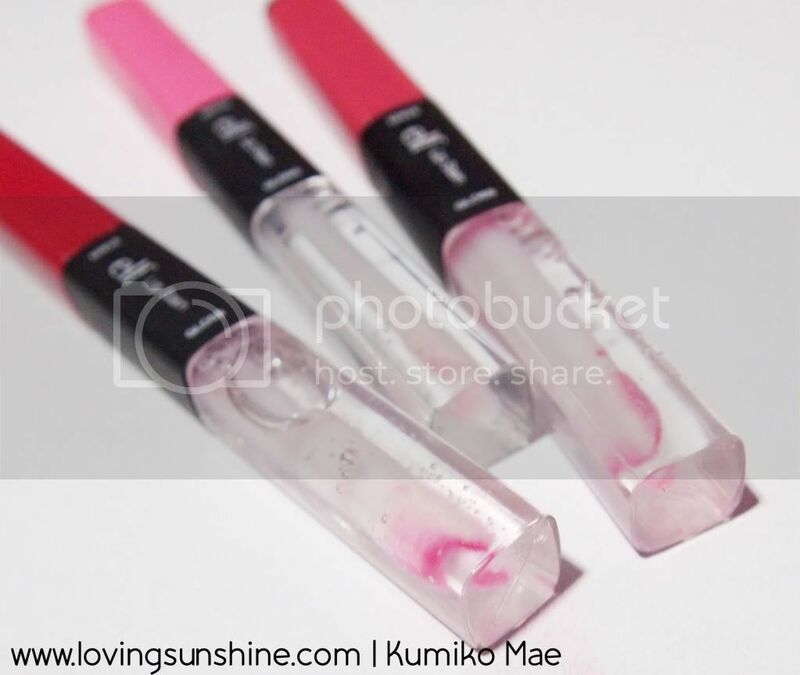 As I've mentioned earlier, the tubes come with clear glosses. I have a bit of a problem with it because the clear gloss was extra oily! It had such an oily feel... and with all the ingredients information I have been loading my head with, I'm just not comfortable with anything oil-like. I also don't like how it is potentially messy. Here's what I ended up with after swatching. Other than the clear gloss, I have quite a problem with how liquid the stain is! I know on the photo above it seems like it's not out-of-the-ordinary "liquid", but check out what happens to the paper after a few seconds... Both the stain and the clear gloss are sooo oily. OILY. What a waste of Php250. I will not repurchase. I am disappointed but as saving grace, I think I will be able to find use for the Red Carpet shade; for the other two, I'm giving it for someone else to try. Maybe it's just me/my preference playing tricks on me, but I really don't like this product. 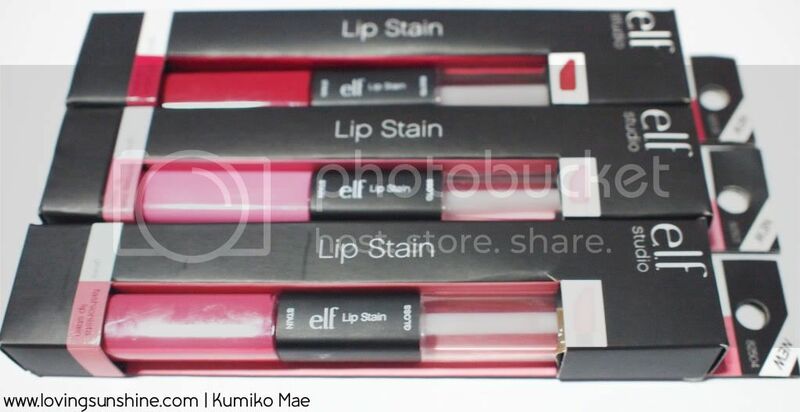 I know it's affordable, and maybe this is me getting what I pay for, but I love some ELF products and since this is my first to try their lip colors, I am disappointed. Perhaps I should stick to their little eye quads. Now this is related to the Avril video. Ever noticed how Avril's eye make-up are always strong and vivid? I am jealous by how she is able to pull off a heavily lined eye make-up and still look bubbly! Since I just don't seem to have the character to pull-off a dark-lined eyes and remain looking young, I will just soon share my new finds that are very helpful in giving me the best of both worlds: heavy eyeliner + young look. Who can take a guess what these babies are? Yikesss these look like a mess! Have you tried NYX matte lip creams? I heard those were pretty good!